ISLAMABAD: Chief Justice of Pakistan (CJP) Mian Saqib Nisar on Monday announced Justice Tahira Safdar as the first ever woman chief justice of BHC, who will take charge of her new role following the retirement of Chief Justice Mohammad Noor Muskanzai after he reaches superannuation on August 31. According to her biography, Justice Tahira Safdar, born on Oct 5, 1957, in Quetta, is the daughter of renowned lawyer Syed Imtiaz Hussain Baqri Hanafi. She made history in 1982 when she became the first woman civil judge in Balochistan. 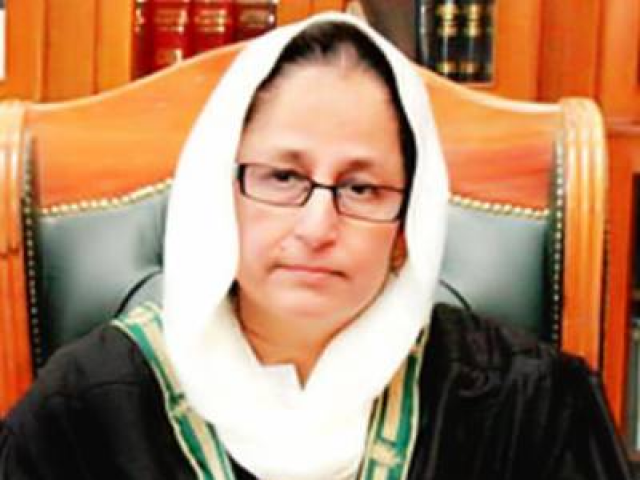 She was appointed a member of the Balochistan Services Tribunal on Oct 22, 1998, and worked in that capacity till she was appointed chairperson of the Balochistan Services Tribunal on July 10, 2009.